The 2nd Global Virtual Workshop will address the topics of asteroids and space debris with a focus on the technical aspect of these themes. The workshop is one of a series of events organised by the Stardust training and research network and it is the second of the virtual workshops. This format provides attendees with the opportunity to participate in-person, or virtually via a teleconference connection. To connect to the workshop virtually, only an internet browser will be required. 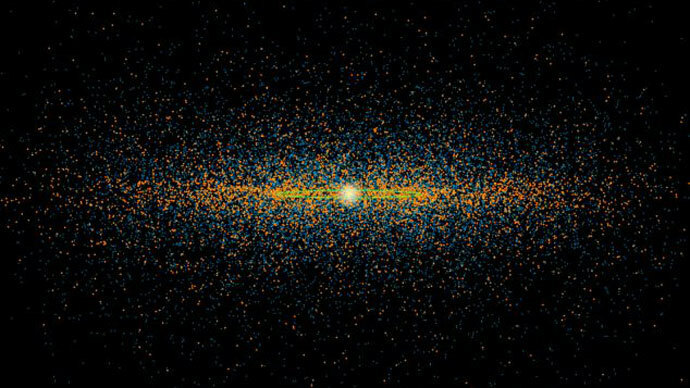 The University of Southampton is hosting the 2nd Global Virtual Workshop and has been engaged in space debris and near Earth object research for more than two decades. Modelling the space debris environment and identifying suitable mitigation strategies to reduce the space debris population are key areas of interest for the Astronautics Research Group, with respect to space debris. Near Earth object research addresses the impact hazard, its associated consequences as well as how to protect the population on Earth. We would like to invite anyone wishing to present at this workshop to upload a two page abstract for review. Please see the 'Call for Contributions' page for more information. Southampton has a population of 250,000 and is located on the UK’s south coast. It is a diverse city with a big industrial port for containers and cruise ships and home to many sailing enthusiasts. The New Forest national park is located nearby and the Isle of Wight may be reached via a short ferry ride. The city itself offers many parks (with a public 5k run every Saturday morning), shopping and dining opportunities and of course traditional English pubs. The workshop will be hosted at the University of Southampton. The University is a global institution ranked in the top 1% worldwide for research and education, but with roots in the local community. It is a founding member of the prestigious Russell Group of research intensive universities, with research in engineering in particular being ranked top in the UK (by power). The University has its own webpage describing the easiest way to get to the University. Directions to the University and maps can be found here. Airline FlyBe operates services between Southampton and cities in the UK and Europe, with more comprehensive services available through airlines operating via London Heathrow and London Gatwick, which can be reached by National Express bus services (to and from the University) or by rail from Southampton Airport Parkway or Central stations. Getting from Gatwick to Southampton with a rental car is also possible. The route is shown here. London Heathrow is the major airport in the region. The bus company National Express offers frequent services between Southampton University (Southampton city centre is also possible) and Heathrow Airport. The connection takes approximately 2 hours and is direct. Tickets, which should be purchased in advance, can be obtained via the National Express webpage: here (typical cost is £25 one way). Again, the option to take a rental car from Heathrow to Southampton is possible. The route is shown here.